...a fantastic guest blog post from Garreth and Carla of Scentcosmetics. Rise up and be counted crafters! Please share amongst yourselves and with the world! Do you quietly boycott the multinational global brands in a bid to make the world a better place? Perhaps you even take to the streets? Do you try and support Fair Trade wherever possible? Are you concerned about the global financial collapse, carbon foot-prints and environmentalism? If you do - you will probably also have some nominal notion about the importance of shopping local. Of supporting local crafters and ensuring they get a fair wage for the quality products they make. If you do - you will believe in supporting people at a time of financial austerity as opposed to paying massive prices on items that aren't worth it. You will resent paying way above the manufacturing cost just so you can get to see an advert about it on TV that will try to persuade you to buy more. Adverts that proclaim luxury and quality whilst the company has workers tied (sometimes literally) to the sewing machines - as demonstrated by my son! I am therefore calling on all moralists, anyone with some form of social concern and desire to rectify this sorry, jaded and false consumerism to take a stand. I'm not asking for much but I am asking for action. Action that requires you to click that little left button on the mouse a few times to register your support for crafters - people to make things, the manufacturers located in your own homes, towns and villages that we so often overlook. People struggling to get by because they love what they do as opposed to worrying about trying to gain that prestigious and luxurious prize of a "minimum wage". For the first week of September I am asking you to spend a few minutes each day working in support of Craftfest: clicking, supporting, liking and tweeting lovely little items that you find on this on-line craft market. 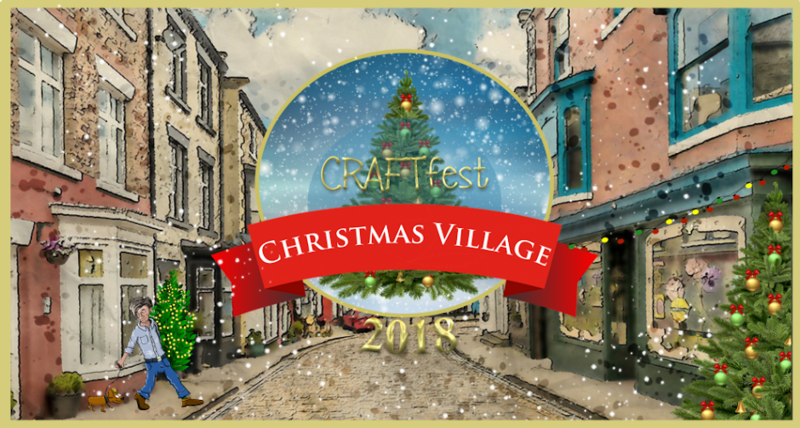 Craftfest runs a few times a year in a bid to create an online community craft market where sellers can work together to promote and share each others wonderful creations. 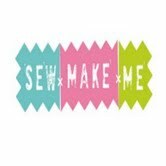 It gives fellow crafter's the sense of being part of a bigger community, of supporting and encouraging one another and promoting each others work to their own client base. But in reality Craftfest is much more than that. You see even the on-line world is dominated by a multinational: google and specifically, google ads. Other search engines all work the same way. BIG on-line companies pay for space that dominate the top pages of any search. Whilst the search engine's claim to work democratically there are ways to promote your work on-line. You must word items in specific ways, tailor it to specific items and make sure you edit your descriptions so google doesn't treat it as spam. This all makes sense to an expert but to a novice crafter - the on-line world is daunting. One solution to this is to make a little noise on the net. The more noise you make then the likelier it is you will get noticed by search engines such as Google. If you create enough noise you may even get the wonderful chance of having something going viral. The only way of doing this is by using Social media. Herein lies the genius of Craftfest. The craftfest community is about a market stall - but it is so much more than that. It is fundamentally a means of creating noise on the internet. The sheer fact that the 200 stall holders will be working our butts off all week tweeting, blogging, pinning etc. each others work is all in the hope that the favour will be returned. If returned that means you have up to 200 more people tweeting and commenting on your items at the one time. 200 people taking one hour to tweet and re-tweet just may get noticed but if they can also recruit people to campaign with us on our behalf then we could really up the anti! If each crafter brought with us another 1 or 2 people to campaign with us then we can up this number to 600 people liking, tweeting and pinning at once. If we get 10 each - 2000 and so it goes. Many of the crafter's don't have cash and can't offer discounts (the barely make enough money as it is). That's the point. This is a campaign. This is you taking the high ground. You may not be able to purchase - and to be honest that is fine (sort of) but perhaps more importantly you can help us get noticed to buyers. That is awesome. Why do it? Well... its because you believe in it. I'm a firm believer in Organic, in fair-trade and in ethical shopping - but the reality is that most of this helps people abroad. Shopping local is an idea but its been difficult to see it become a reality. 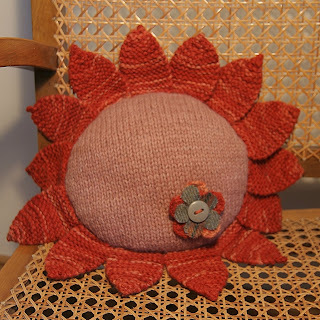 By helping to promote the people of Craftfest - you are doing your bit to change to world. To change the focus from the global, to the local. From the mass-produced to the hand-made, custom orders that the people of Craftfest specialise in. It runs from the 1st - 8th Sept.
We will be tweeting, FBing and blogging many things over the next week and we would love you to play a part. Share, like, pin, tweet, talk about us to anyone and everyone. Do it a few times a day at different times in the day. Sure we love you sharing about us at any time - but this week is special - its about creating some noise!!!!! So lets raise the warrior cry for our crafters! Lets give some artisans our support - lets stick our tongues out to the people that brand us and define us and say "ENOUGH!" We will do our own thing - thank you very much. Feel free to pin, share and like this to your hearts content - lets get craftfest out there! So, we are going to hit the button later on this evening on Creative Connections to turn the network into CRAFTfest! This is the time to check and double check your stall and make sure it works correctly. Please find yourself and make sure all your information is up to date. Any avatars that we haven't had in yet would be gratefully received. We still have time to put them up! Any 'festers that are yet to send in their stall URL, please do, although your stall already lies at the end of its category. Any stalls with no links will be deleted at the beginning of the 'fest on Saturday. 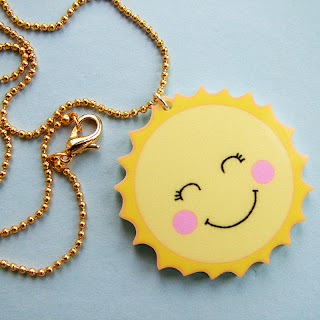 Hi and welcome to Jewellery by Lauren, here is a small collection of items we have for sale, please have a look at our websites for more pieces. i make cold process soap, slices and cakes. I also make massage bars and cupcake bath bombs. i do it as a hobby but got abit carryed away and need to sell some. 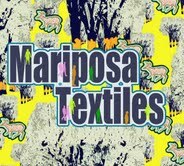 Mariposa Textiles one stop shop for vivid bold printed accessories, jewellery and fabrics. Original design Fabrics include velvet, silk crepe de chine, Irish Linen,upholstery, cottons. I have another set of stalls for you to peruse, all in the Lilac Lovelies team. In my shop we supply printable partyware for crafty people to print out and make up at home. You buy the artwork direct from us, we send you a PDF via an email link and you print it out, and make each of the goods yourself; a great activity to keep kids occupied pre-party! The designs are grouped into coordinated themed collections, each has everything you could want for a party from invites to cupcake toppers and wrappers. Designs include: Alice in Wonderland, Fairy Princess and Robots for children's parties, and Pink Elephant for christenings or baby showers and many more alongside. Buying the artwork allows you to print as many as you like, so whatever size party you are planning you're covered. Throw a party from the comfort of your own computer - Just print, create and then celebrate! After three years of declining and conjugating words belonging to languages nobody speaks any more, of reading texts written literally thousands of years ago, of learning about men whose facial hair would make the hippest of hipsters jealous and whose dining habits would make Henry VIII wince and clutch his belly, I finally succumbed to the need for a creative outlet. I'd painted ever since my chubby little hands could hold a paintbrush - probably before then, actually, using said chubby little hands for splodgy finger painting - but having completed my GCSEs I made the fatal error of enrolling in an art school, and after quitting seven weeks later (I couldn't stand being forced to paint in other people's styles with media I didn't want to work with) I barely picked up a pencil or a paintbrush again; until a month or so ago, that is. I bought some watercolours from my local stationers on a whim, and painting has struck a chord once again. I've always had a bit of a fascination with design and fashion, so I suppose it was inevitable that I would gravitate towards painting these kinds of things first. I started off sketching portraits and outfits of my favourite style bloggers, and now as well as these I paint celebrity portraits and create little patterns of my favourite iconic pieces from the great fashion houses. 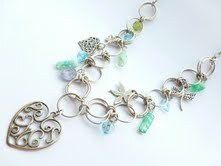 I make Jewellery using vintage and modern beads with sea glass and beach ceramic fragments. My work is created using needle bead weaving techniques, very time consuming but creating beautiful effects. Each piece is unique as no two pieces of sea glass are ever exactly the same. I make to commission if required, using a piece of glass from my collection or one you have found yourself. 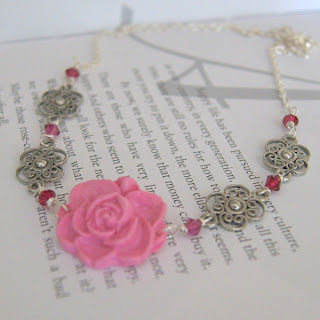 I also work with vintage lace and recycled vintage jewellery, perfect for weddings or just for every day. Hoobynoo World is a happy place, full of bright colours...where the sun is always shining! It is also filled with a whole host of fun and fabulous characters, each with their own unique, bouncy personality! These characters are available as Acrylic Jewellery and handmade felt accessories. I make a variety of papercraft items including mini scrapbook albums, cards, gift bags, tags and note cards. I only use high quality materials, and all my products are made with love and care, from my home. 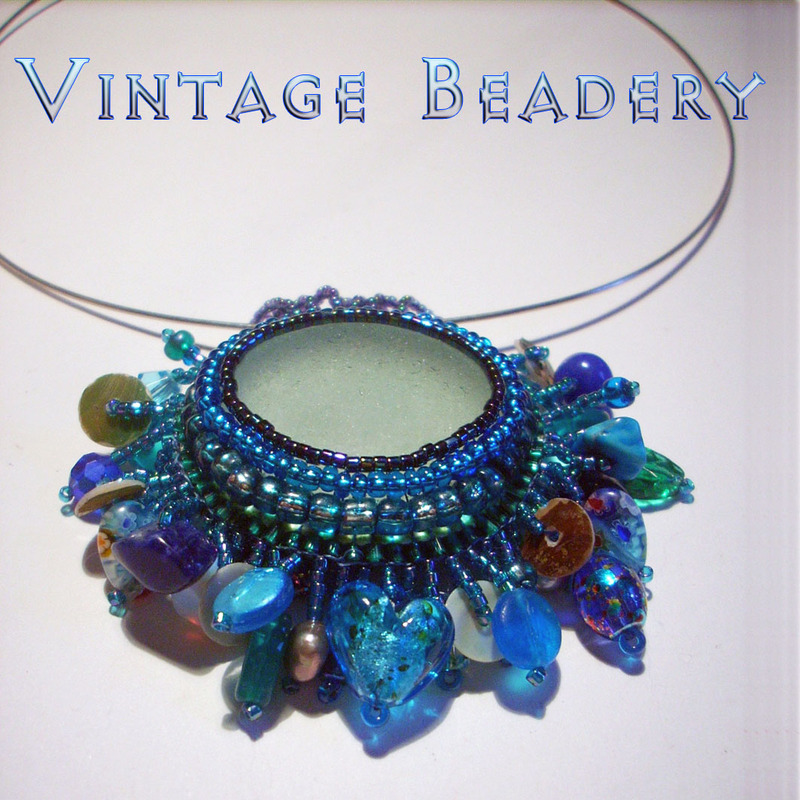 Tumblebead was founded by Sara Johnson a self certified bead addict with a passion for making hand crafted beaded jewellery. 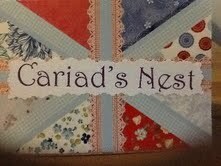 Hello, Hello and welcome to Cariad's Nest. Here at Cariad’s Nest – our real names are Colleen and Rhona, we are friends and business partners of our gorgeous home wares. We supply various items – feel free to have a look around and please contact us if you would like any information on anything you would like to buy. Our intention is to supply beautiful items for your home at reasonable prices. Please contact us if you are after something specific and we will do our best to source it for you. 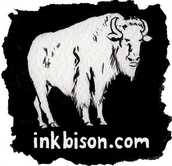 InkBison, selling unique creations in ink, was formed in January 2012 by Guernsey artist Gina Andrews, who has been drawing and painting since she was knee high to a grasshopper. 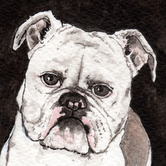 Gina loves to paint animals, as they evoke such wonderful emotions. With the hope of spreading joy, Gina also turns her paintings into greeting cards (printed on high quality recycled card). Signed Giclée Fine Art prints (printed on lovely Somerset Velvet enhanced fine art paper) are also available. 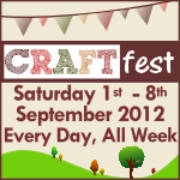 September #CRAFTfest is almost upon us!! Here is the final booked stalls list for the event to help you all promote. The main category pages will be available for you to check your links when Creative Connections switches over during the week before the event. We had 184 stalls booked for this one. If you haven't got a stall link next to your business name please submit it here immediately. Thank you. All stalls that do not exist, are empty or have no link submitted by 5pm on Thursday 30th August will be removed from the main stall pages that are being created. Please make sure that you do not miss out! Hello, I make pretty jointed keepsake bears made from lovely cotton fabrics and Memory bears made from baby/children's clothes. All of my bears in my stall are made to order. Due to the handmade nature of my bears, they are not suitable for children, and they are not toys. Not suitable for children under 14 years. 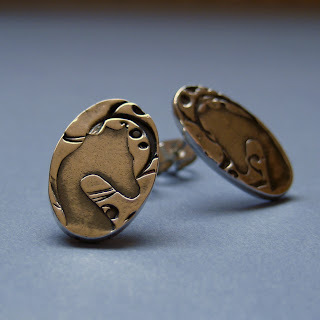 Nanuk Jewellery is a range of jewellery designed and hand made by Louise Farrow using silver clay, sterling silver and semi-precious stones and beads. 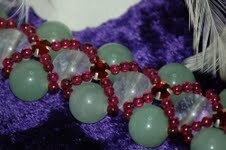 At Silverfusion you will find a selection of handmade beads. Some will be glass using a technique called lampworking, some will be polymer clay, and some will be metal. 2 Crafty Birds! 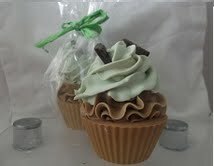 is a mother and daughter run business based in South Wales. 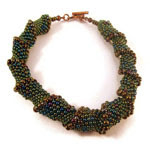 Paula designs and makes hand-woven jewellery, primarily using seed beads and lots and lots of sparkly crystals!